Buoyed by breathtaking scenery, an entrepreneurial spirit and a diversified economy, Denver is attracting more than 1,000 newcomers a month—and providing one of the most potent workforces in the nation. The Family Jones, a new distillery and restaurant in the booming LoHi (Lower Highland) neighborhood of Denver, was bustling on a recent Saturday night. Small groups of mostly young people sat at communal tables or the half-circle bar, drinking meticulously crafted cocktails and nibbling on charcuterie. A full moon illuminated the room through massive windows on one side. It felt like the ultimate local scene, but “local” is a relative term in the Mile High City. The Wisconsin-raised guy to my right moved to Denver two years ago after escaping “congested and attitude-heavy” San Francisco for a job as a programmer at a tech startup. The bartender came to Denver from Philadelphia to go to college, fell in love with the city’s socially progressive atmosphere and never left. A middle-aged couple smooching over housemade vodka and gin paused long enough to say they’d moved to Denver a year ago from Texas, drawn by the beauty of the area. Both work for online retailers and can basically choose where they want to live. Last April, a coalition of 10 Colorado-based tech companies, along with state agencies, launched Pivot to Colorado, a $500,000 marketing campaign that encourages tech talent to leave Silicon Valley for the state. It’s just one of the ways Colorado, and Denver in particular, has been diversifying its economy since the 1980s, when it was largely dependent on the oil and gas industry. Today, Denver’s strengths include aerospace (second in the nation after California), from space exploration to four military commands; IT software (growing 20 percent faster than the national average for the last five years); and, of course, marijuana (residents voted to legalize the product in 2012). Metro Denver has one of the lowest unemployment rates in the nation—it’s just under 3 percent—and adds about 35,000 jobs a year. That atmosphere is part of what attracted Frank Bonanno, a New Jersey native, to the city. 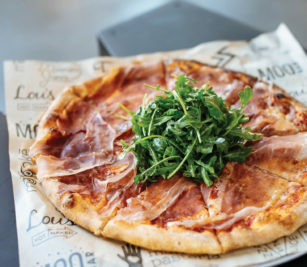 One of Denver’s most successful chefs—he’s opened nearly a dozen restaurants in the city—Bonanno and his wife, Jacqueline, just opened Milk Market, a massive retail food and restaurant complex not far from Union Station. 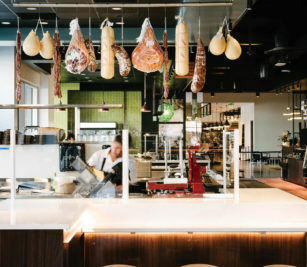 Milk Market includes Mano Pastaria, offering hand-rolled pastas; Ruth’s Butchery, featuring Colorado-raised meats; Stranded Pilgrim, a lineup of all-Colorado beers; and Cornicello, a gelato shop. Those employees are compelling: Denver has the second most highly educated workforce after Boston-Cambridge. But there are other factors attracting entrepreneurs to Denver. FasTracks, a $5.5 billion transit initiative begun in 2006, has added more than 122 miles of light rail connecting downtown to the surrounding suburbs and Denver International Airport. DaVita, a kidney care company based in the city, recently polled its employees and found that 83 percent don’t use a car to get to work, walking, biking or taking the train instead. You can do business with Europe in the morning and Japan in the afternoon. In an interconnected world, Denver is geographically blessed. You can do business with Europe in the morning and Japan in the afternoon. It is equidistant to Canada and Mexico. And domestically, it’s within a four-hour flight of any continental location. To capitalize on these advantages, the city has been putting money into its airport, where 11 new nonstop international flights were added last year, including ones to London, Paris and Panama City. 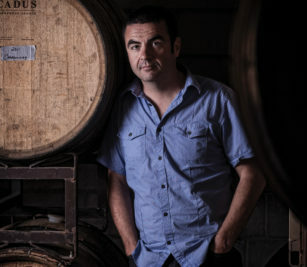 Ben Parsons, owner and winemaker at the Infinite Monkey Theorem, launched his urban winery in Denver’s RiNo district in 2012 and appreciates all the business advantages. He has built a $10 million company with Colorado-grown grapes and a sophisticated and fun wine bar. But the biggest reason this Brit who has lived in Australia and New Zealand chose Denver is more elusive. “RiNo is like Brooklyn 15 years ago—it just has a fantastic, creative feel,” he says. “It’s hip, but not overdone. People are drawn here.” That was certainly the case on a recent afternoon, with young women tasting riesling at the bar while passing around something they were writing together and guys at outdoor tables sipping on cans of dry-hopped pear cider as they enjoyed Denver’s famously sunny sky.